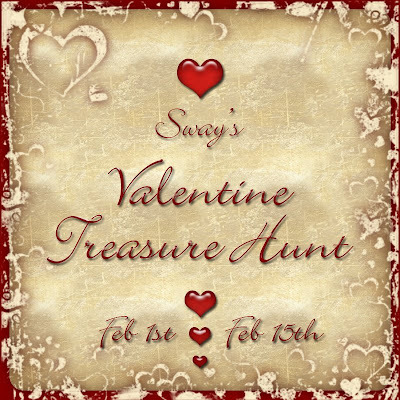 Find 14 golden Valentine Treasure Hearts hidden around the Sways Creations Sim and earn a special Valentines Day Gift... for Girls and for Boys! hidden around the Sways Creations Sim. * When you find one, move fairly close and touch it. You'll receive a confirmation message telling you how many you need to find. and touch it to claim your prize!